Gordon Campbell curled with the legendary Campbell Family of Avonlea at four southern and two provincial Mens competitions. In 1954, the team won the Province and went on to compete at the Brier in Edmonton losing the final against the Matt Baldwin Team of Alberta. 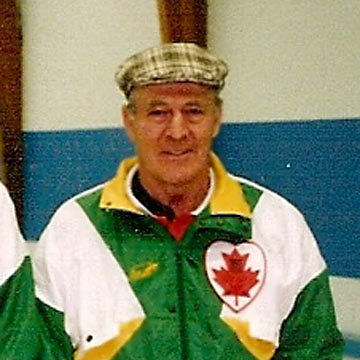 Gordon competed in eight southern and provincial Senior Men events and went on to the National once in 1993. He has competed in nine Master Mens Provincials and helped to turn six provincial titles into four Western Canadian Masters titles playing Lead position for Garnet Campbell. Gordon is a very quiet and unassuming individual who would sooner sit in a corner with a good book rather than bask in the limelight that he so richly deserves.